Two short weeks of late nights, grueling rehearsals and hard work came together on the 6th and 7th of March for Dramafeste 2014. As evening fell, a steady stream of theatregoers made their way into the PAC foyer, which was abuzz with energy and chatter. Dramafeste has developed a solid reputation for delivering entertaining amateur productions, and the theatre was crowded with students keen on showcasing their house spirit and wanting to support their friends. Rumours of rooftop rehearsals, production teams getting locked in school and houses that rehearsed in the dark had only heightened the sense of apprehension around campus, yet those fears prove to be unfounded. Despite the ever-shortening rehearsal time, low budgets and lack of rehearsal space, Dramafeste 2014 definitely did live up to its hype. The sheer amount of dedication required to undertake such a task cannot be understated; nevertheless the friendships and experiences gained more than made up for the undone homework and sleepless nights. Hadley- Hullett’s Payday takes place in an alternate reality where time and life itself lies in the hands of a corporation led by two characters of questionable morality. When Angie is hired into the corporation under mysterious circumstances, she finds the fate of a young boy’s life under her charge and, after deeming him a ‘waste of time’, takes it into her power to end it. Yet this action comes with dire consequences as Angie realizes that each life comes intertwined with so many others, and struggles to come to terms with her decision and her humanity. A rather abstract piece that dealt with heavy themes of love, life and man’s inability to play God, Payday showed great potential to develop into an inspired, thought-provoking play that perhaps fell short due to a lack of polish. Putting an interesting perspective on a dystopian theme, the play proved itself to be both touching yet humorous with witty dialogue, larger than life characters and sound acting. The play started off promisingly, with a dramatic entrance by the ensemble introducing the theme of time with a clear yet wordless bit of physical theatre. Katrina Jacinto’s portrayal of Angie as a robotic, subservient employee showed remarkable stage and vocal presence throughout the play, although her initial exaggerated walk and laughter did sometimes become distracting, instead of illustrating her character’s seemingly inhuman nature. The rest of the cast fared just as well with their exceptional acting. Myko Philip’s loud character as the fraudulent surgeon shone with great attempts at humour, drawing uproarious laughter from the crowd. A main weakness with this play, however, lay in its lack of a consistent flow. Perhaps due to the time constraints, parts of the play tended to be too hurried to allow for sufficient emotional engagement with the audience. The conclusion in particular ended with a whimper instead of a bang. The incongruous moral awakening and the awkwardness of the transition between the conclusion and the previous left audiences with a lingering taste of incompleteness. This was compounded by a seemingly random introduction of the ‘stakeholder’ who has control over all time and a rather abrupt ending where everybody, literally, runs out of time. Payday was very much a work in progress with great ideas that could have been better executed, though its attempts at staging a profound yet entertaining piece should be acknowledged. Its ambition and impressive acting too, should be applauded, given the short span of time in which it was put together. Synopsis: Buckle-Buckley’s Mona Lisa follows the life of Steve, a disturbed child from a broken family. After witnessing the decline of his parent’s abusive relationship, Steve grows up in an unstable environment with his domineering father, never completely coming to terms with his mother’s abandonment. As a surgeon, he believes that any heart that has stopped beating more than 30 seconds is dead, yet he soon realizes that 30 seconds could be all he needs to make the decisions that will change his life. 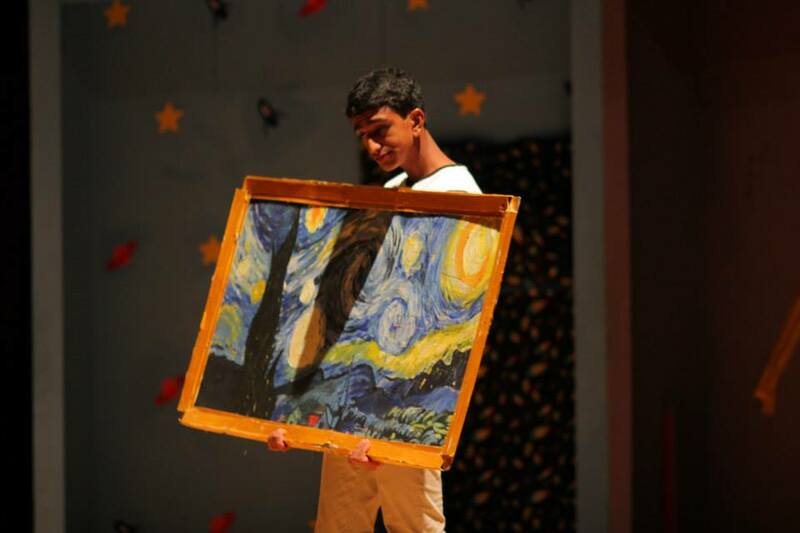 Mona Lisa was an emotional play that stood out in its relatability. With strong, identifiable characters and impressive staging, BB managed to pull off an eloquent piece with weighty yet everyday themes dealing with the question that we have all asked ourselves at some point in time: what if? 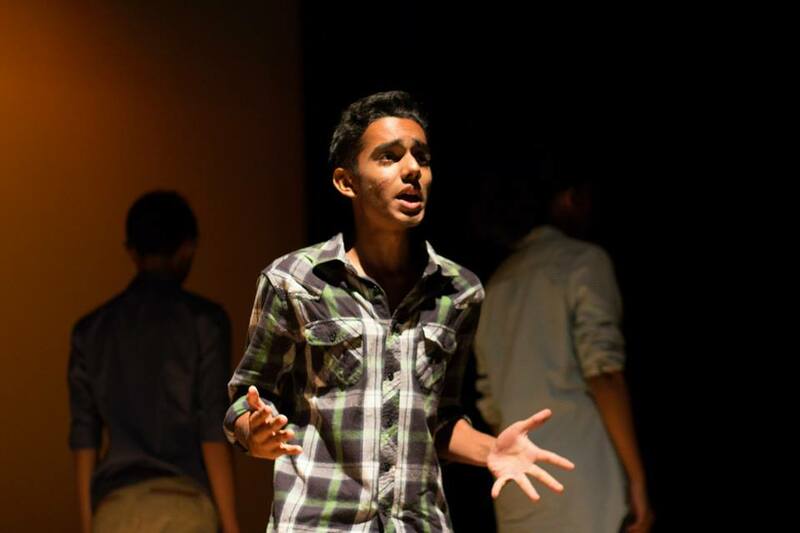 Naresh Manoj’s portrayal as Steve’s father set the play off to a brilliant start; the chilling encounter between husband and wife was shocking and all too real, and despite limited stage time Naresh managed to play a difficult role with impassioned mastery. One cannot deny the talent in the cast, especially Joel Seow’s performance of the protagonist Steve being both adorably awkward and lacking in confidence, while soberingly realistic in his insecurities and struggles. His character’s likeability shone in particular when he attempted to stop a suicidal man, played by Teo Weilong, in a poignant scene that highlighted greatly his character’s imperfections and with it, his humanity. Weilong’s character too was both well-written and well-executed, his quiet melancholy was effective in conveying his despair without resorting to melodrama, again adding to the play’s relatability. Another great moment in the play was when the two storylines of Steve reuniting with Lisa, and his mother respectively were presented side-by-side on stage, culminating in both Lisa and the mother calling out, “Please, it’s nothing! Don’t worry, Steve” in unison. Credit must indeed go to the actresses for the execution of this scene, as coordinating their timing was certainly no mean feat. The play manages to deal with some heavy themes without being off-putting, coupled with fantastic sets that were simultaneously aesthetic and functional. 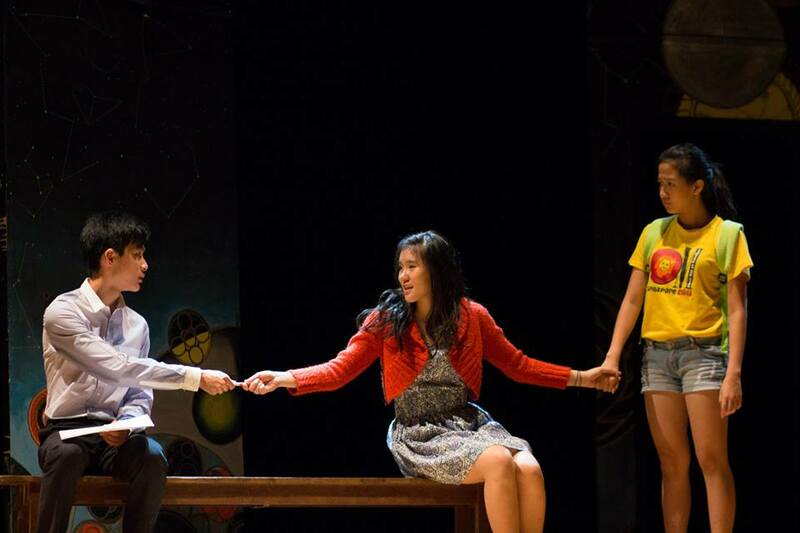 The backdrop of constellations present throughout the play stood out in particular with both its breathtaking beauty and significance, illustrating the idea of lucky stars aligning. The ensemble’s countdown every time Steve gave up the chance to make a life-changing decision was a laudable attempt at physically presenting the gravity of life’s everyday choices, yet it could have been much better executed; at times, the significance of the countdown was not made very clear or obvious and may have been lost to much of the audience, who did not understand what it meant. Scripting was not all perfect either, as the secondary storyline of Steve’s reunion with a girl from the past was, although not entirely irrelevant, rather cliche in its execution and even a cause for some laughter amongst the audience. Its conclusion too seemingly left the Lisa plotline unresolved, as the last we saw of Lisa and her daughter was when they abruptly left Steve to go look at childrens’ books together, never to return. Although this may have been necessary in creating the intimate reunion between Steve and his mother, it left audiences feeling dissatisfied, as if Lisa’s story was unfinished. Overall, a great play from BB with professional sets and great casting, which stood out in its simplistic nature and down-to-earth tones. Synopsis: Danny and his girlfriend Lena, who are facing relationship problems, have joined a gang of ruffians intent on overthrowing the government, greatly worrying his parents. But does the revolution really matter? As they imprison a dissident, die in war and wait in the afterlife, it seems that nothing does. That Place started off with a revolution that took a heavy toll on the protagonist’s relationships, touching upon themes ranging from race to religion to bureaucratic inefficiency. Yet it soon gravitated away from that and ultimately focused on Danny’s estrangement from his parents and girlfriend, with the revolution providing the context for this plot line. While the flurry of disparate themes was rather confusing at times, That Place’s unique approach provided a breath of fresh air. The play featured solid acting from a strong cast. Gary Huang was proficient as Danny, being realistically irritable and awkward when confronting his parents and girlfriend, while sorrowfully nostalgic when recalling better times. 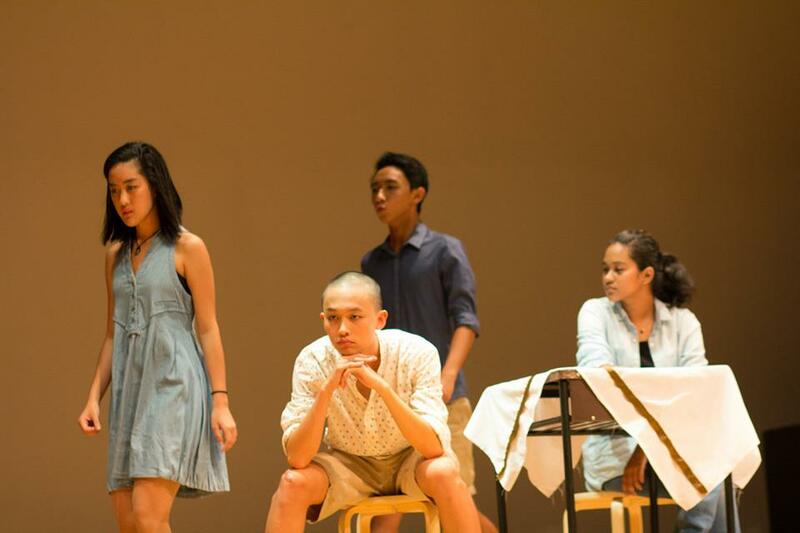 Jovi Tan and Rachel Koh, in addition, shone as the revolutionaries Alex and Emma, with their careless, unabashed manner and occasional wit helping to lighten the depressing mood. The sets were also crafted well, with the incongruous, brightly-coloured doors in the afterlife showing the ending’s otherworldly character. Perhaps the only issue with That Place’s sets was the bar in the corner of the stage, which never seemed to leave even when clearly irrelevant. That Place also featured several impressive scenes. For example, in the elevator scene, the revolutionaries imprisoned a dissident, Adam, for challenging their goal by pointing out that his people had been in the country from the beginning, and that they, the established racial majority, had no moral authority to start a revolution. Mudassar Ahmad then delivered a quivering, powerful soliloquy filled with fear and despair as Adam while the revolutionaries towered over him on chairs, creating an image of a helpless prisoner in a claustrophobic jail. The breakup scene between Danny and Lena was both unique and beautifully poetic, as they made their way down the aisles of the theatre delivering lines entirely in verse, every word steeped in grief and heartbreak. In another instance, the absolute silence that met a messenger’s pronouncement of Danny’s death was incredibly poignant, conveying shock and sorrow more movingly than any tears could. Perhaps the manner through which the overall play went from script to stage unfortunately overshadowed the crisp acting and brilliant individual scenes, making That Place good in moments, but lost in its entirety. In the end, as Alex said in the play’s final scene, we were just waiting – for something more . Synopsis: Tom and Mary are completely different – one’s a clumsy romantic, while the other’s a tomboyish, cynical pragmatist. Each engages in brief romantic relationships with other people – Tom with an obsessive stalker against his will, and Mary with a shy, weak boy – only to break up with them. In their adulthood, Tom meets a childhood friend, the Broomstick Girl, and asks her out, only for her to go with a former schoolmate later. Broomstick Girl does, however, introduce Mary to Tom, finally bringing the two protagonists together. With this depressing synopsis from the MT Dramafest team, we expected a disheartening play about the futility of hope. To our surprise and delight, we were absolutely wrong. The Bigness of Small Things distinguished itself from the other Dramafest plays by dismissing complex themes or dark psychological discussions for a simple romantic comedy that brought the house down. The actors were simply brilliant, with the supporting characters being the stars of the show. 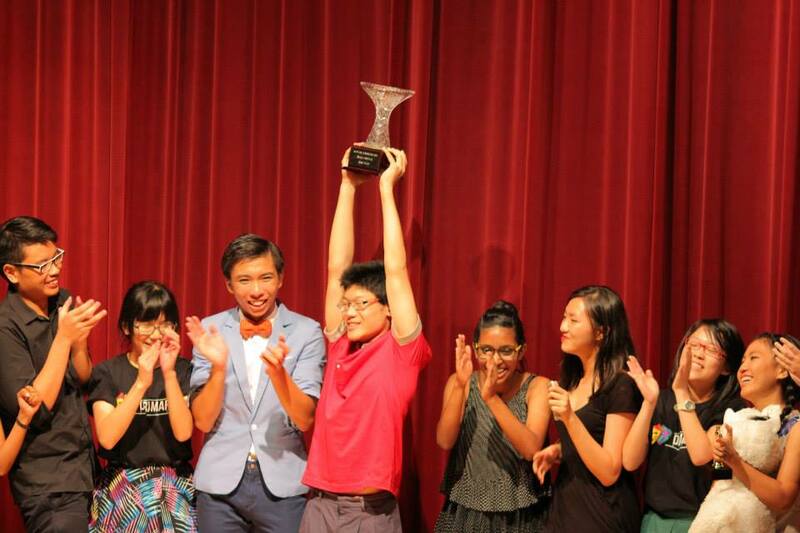 Rahul Jayaprabha in particular was uproariously funny as the boorish bully, while Anthea Chua was similarly hilarious as a creepy stalker who fell in love with the most absurd of things – Tom’s sneeze. As for the protagonists, their little imperfections aided the message that even awkward and apparently incompatible characters could find true love. 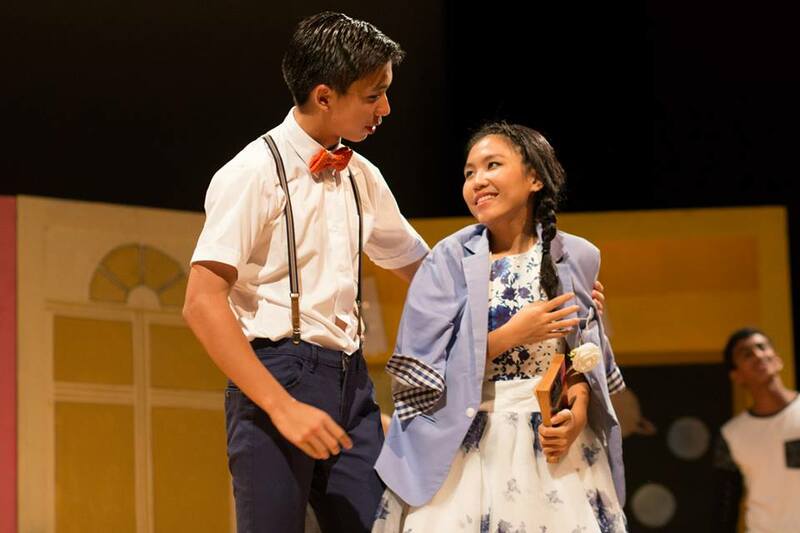 The scenes themselves were executed excellently; even as the play maintained its light-hearted nature, we felt the pang of heartbreak as Mary was rejected by her first boyfriend and bittersweet emotion as the reformed bully shyly confessed to the Broomstick Girl with tender awkwardness. The final scene, whereby Tom and Mary sat eye to eye in love after all their failed relationships, moved the audience to a standing ovation. In that moment we were genuinely happy for the characters, with The Bigness of Small Things successfully engaging us emotionally. Yet the most impressive aspect of the show was undoubtedly the exquisite sets, being divided into four parts that acted as Tom’s bedroom, the broom cupboard in which he and the Broomstick Girl hid, Mary’s bedroom, and a classroom respectively. Each part had unique designs, such as the detergent bottles in the cupboard and the blackboard in the classroom, allowing the cast to act continuously through different scenes without changing sets, facilitating the play’s smooth flow. The set’s true value, however, was only revealed during the final scene, when it was rotated to reveal a breathtaking, hand-painted picture of a starry night sky above forests and mountains, providing a perfect, romantic background to Tom and Mary’s union. This final touch awed the audience to thunderous applause, bringing many more to their feet. No performance, however, can be perfect, and The Bigness of Small Things could perhaps be criticised for its pacing. The play in fact ran overtime on both nights and had to be cut off, and while the crew managed to shorten the scene to a few seconds to provide conclusion, it is a pity when one wonders what may have been lost in those final moments under the starry starry night. Nevertheless, the play’s merits superseded its trifling flaws, and despite the cumulative effect of three consecutive gloomy plays, The Bigness of Small Things gave us renewed faith in love and human nature. If we had no idea what was happening now and then, we were too busy laughing to care. The preamble to MR’s plan, Anna, reminded audience members to constantly pay attention to the stage, because “nothing is ever as it seems”. Investigating the murder of a psychic fortune teller, the play takes several twists and turns on its way to a revelation that, while not leaving audience members in the dark, still felt somewhat unsatisfying. 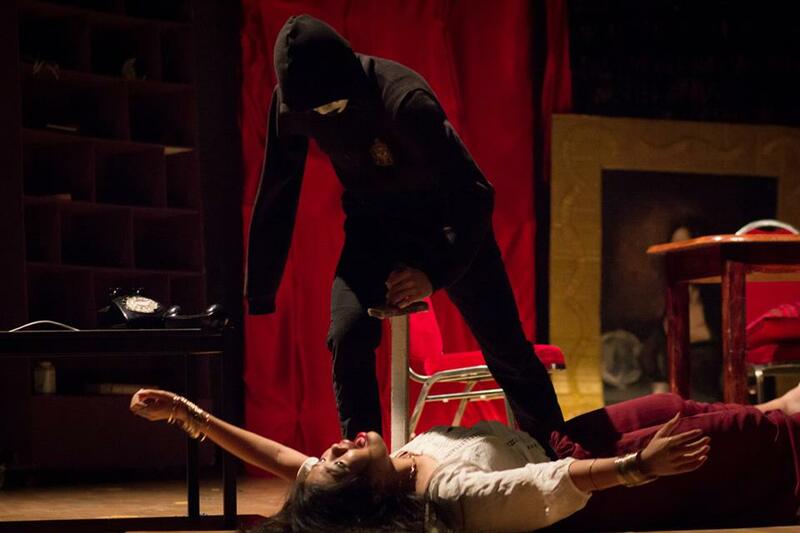 One of the bright points of the play was definitely the performance by a reasonably strong cast, in particular Syafiqah, playing a rather aggressive, independent telekinetic who led most of the play’s central plotline – of finding out who killed the psychic. The rest of the cast did a great job in willingly playing their rather comical roles at times, from the Xu Yanling’s portrayal of a bearded lady to Low Ker Yang’s portrayal of a rather amusing monkey trainer. 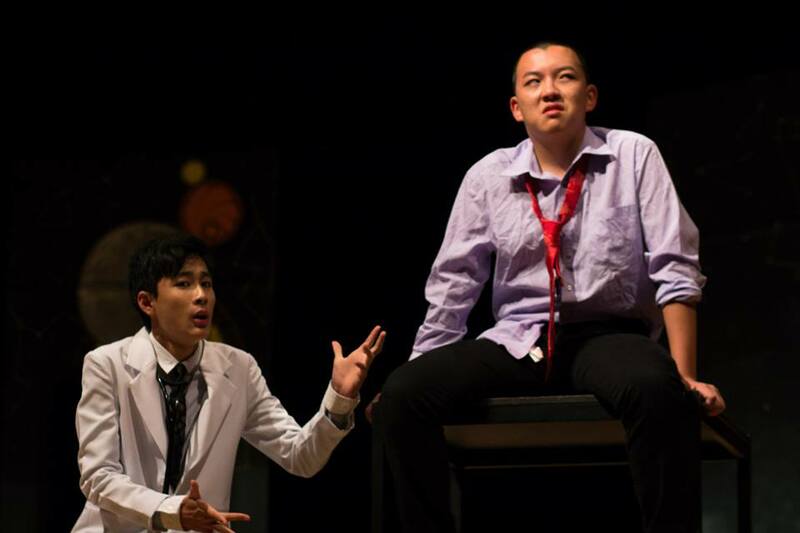 In addition, we must also mention the mime, played by Brian Au Yong, who despite (clearly) not having any lines, became a great source of comic relief throughout the play, for example hiding behind a rather flimsy leaf in a bid to retrieve a sword from the stage, while the other characters continued speaking around him. In the end, Brian continued to do a brilliant job when he portrays being taken over by the spirit found in the doll, ending in a very well executed suicide scene that concluded the play. However, while the ending was well acted, it didn’t appear to make too much sense when first watched. With the numerous characters on stage, and the multiple theories as to who killed Madame Cassandra, the ending was not immediately clear. With more thought, one realises that the doll Anna was indeed the mastermind behind the murders and the deception, but with the mime dying in the final scene and the ringmaster seemingly murdering Madame Cassandra, one perhaps could be forgiven for not really being sure of what happened by the play’s conclusion. This wasn’t helped by a rather misleading secondary plotline, through which the audience is shown how each character meets the fortune teller, and subsequently why they could – or couldn’t have – killed the fortune teller. Inevitably, thinking back, one realises that this was all a plot by Anna to have everyone come in contact with the fortune teller and accuse each other of murder. Yet, this again is not made immediately clear – in fact, one (again) could be forgiven for thinking the case of the stolen hair removal cream was a separate plotline altogether. With a bit more time, perhaps, the idea of everything be linked together could’ve been made more obvious, and definitely would’ve made the play far more effective. On balance, of course, the sets and lighting were done decently. Despite slight mishaps with the sets on occasion, all the sets were very beautifully designed and presented effectively, with the background painting and writing on the world definitely creating the dramatic horror effect the play presumably sought to bring across. Yet, horror is an incredibly difficult genre to pull off on stage, and while Anna definitely tried its best, the idea of horror did not carry itself across the entire play, and was left to bursts of scarier moments that made the horror more sporadic than effective in leaving its impression on the audience. As a whole, we agree with the judges comments, who said that MR gave the play a good go, but unfortunately could have done a lot more with a script that showed great promise but failed to deliver on stage. 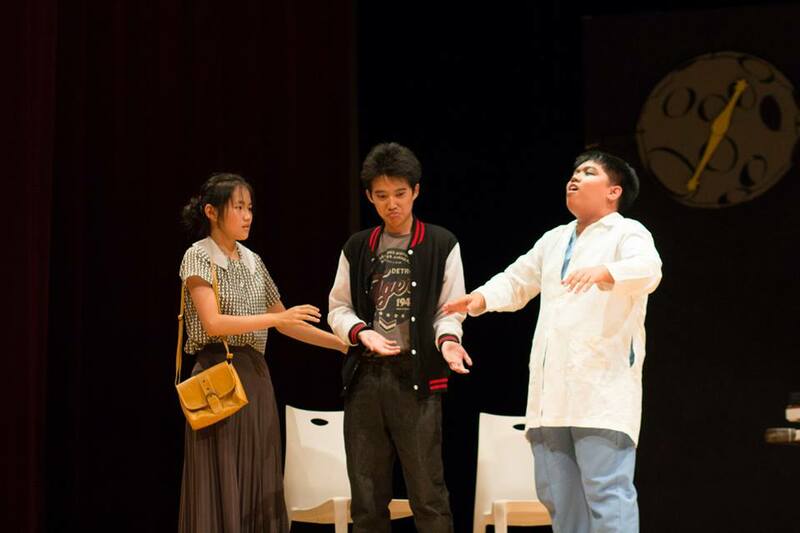 As is a regular tradition at Dramafeste, the EXCO of Raffles Players puts up a spoof of some key or standout moments in the 5 houses plays, combining them effectively in a manner that was incredibly light-hearted, and very well executed. 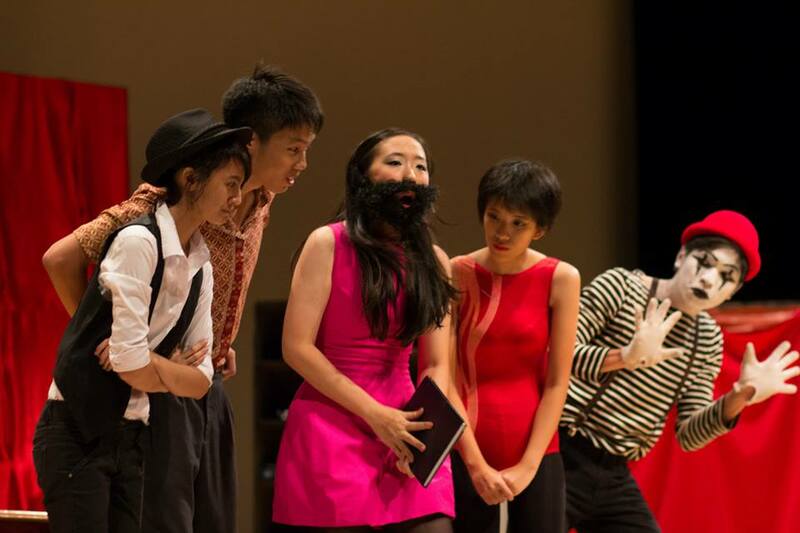 Consisting of Jo-Ann Heng, Eugenia Tang, Seah Beiying, Natalie Ng and Rachel Quek (and missing Won Xue Li due to injury), the Players EXCO spoof tackled scenes such as actually pretending to swallow a sword, the renaming of the psychic from Madame Cassandra to Madame Lasagna, and blaming the originally eerie voice of the doll on a ‘sore throat’, all of which are from MR’s Anna. This goes on to even satirise parts of real life – such as the school’s recent decision to lock all other gates by 10pm. 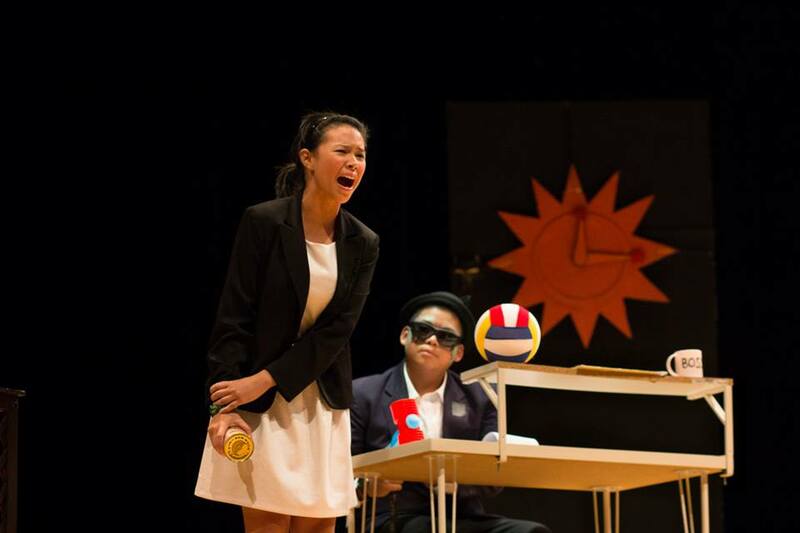 Another highlight of the spoof comes from Seah Beiying, who spoofs a scene from BW’s That Place, emerging from the back door of the PAC before arriving on stage, combining scenes from Anna and HH’s Payday as she brutally murders each of the other EXCO members (bar Rachel Quek, who was asleep in a set from MT’s The Bigness of Small Things), blaming them for making her do announcements, starting the EXCO spoof without her and, finally, for wasting time, a line from Payday. In the end, the EXCO spoof drew uproarious laughter from everyone in attendance on Results night (Friday night), and was a magnificent way to round off the performances for the night. We would like to congratulate all the winners, but also all the cast and crew members involved in Dramafeste 2014, for what was an incredibly effort in creating theatre that was truly enjoyable to watch, and we definitely look forward to what Dramafeste 2015 has in store for us. This article is so uncontroversial it hurts..